#1: What is a Wetland? A wetland is a land area either permanently or seasonably soaked with water, often with a distinct ecosystem. #2: Is it legal to build on a wetland? Yes, and no. While there are permits to apply for if your project impacts less than a half-acre of wetland, these half-acre permits have added up to a lot of lost wetlands in America. The effect of this can be seen in the increase of extreme flooding around the states. It’s now not recommended to build directly on a wetland, and in some areas it’s strictly prohibited. Not to mention building a home on a wetland can cause significant damage to your home over time, leading to cracked foundations and possible flooding. #3: Do wetlands hold value? Yes! From a conservation standpoint, wetlands are extremely valuable to the earth. Just ask any of the specific creatures who rely on them for survival. They also work as filters to pollutants and sponges for when rainwater gets a little out of control. Privacy – no nosey neighbors setting up shop right next door. Wildlife – frogs, birds, mammals, etc. Stunning views – it’s not all swampy and gross. Some wetlands can be beautiful. Flood control – need we say more? If your land is all wetland, the value drops significantly since building directly on a wetland is usually prohibited. 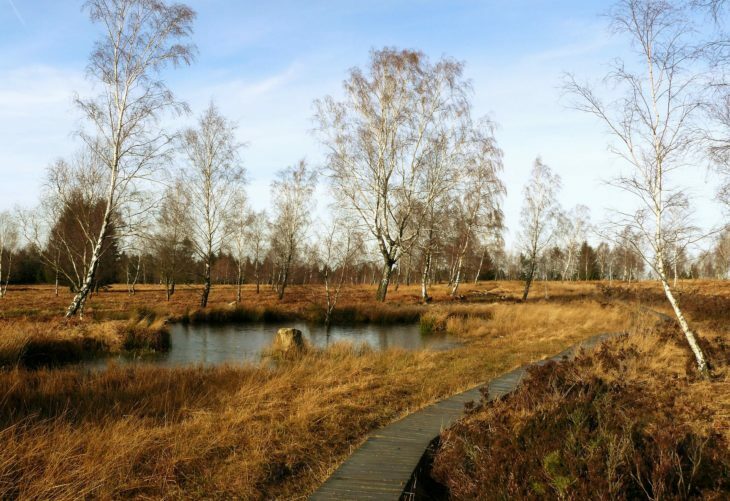 #4: How will I know when a property has a wetland? So you’re interested in property that might have a wetland. Now what? Before purchasing that lot, hire a consultant to check for any environmental issues on the property. Also, ask the seller to disclose any environmental conditions that may negatively impact building on the lot. #5: My property has a wetland. Now what? Contact your state U.S. Environmental Protection Agency. Some areas are prohibited from building, while others may have a required buffer distance. To find out if your land has a wetland, check out this Wetlands Mapper. You’re welcome. #6: I don’t care about the environment. How do I build over my wetland? NOTE: Not to freak you out, but remember, any construction impacting wetlands without proper approval is a federal offense. To recap, wetlands are great at purifying polluted water, replenishing aquifers and harboring wildlife. They don’t make good building locations. Thankfully there are plenty of land options where a wetland is simply added real estate to a perfectly buildable lot. And LandCentral’s got plenty to choose from.